Summer is finally here! We wait all year for the long, warm and sunny days. This is the time of year when we spend the most time outside swimming, having picnics, going to the beach, and hiking and playing. All of those activities are great, but it is very important to remember to protect our bodies while out in the heat. Hydration is the key to feeling good, and taking care of ourselves during the summer months. We can become dehydrated rather quickly in hot weather, especially when engaging in activities. Many people do not drink enough water, which is why it is important to recognize when we are dehydrated. Also know the signs of dehydration in infants and children as well. Cucumbers - Cucumbers are over 95 percent water. They contain vitamins C and E, and is great for the skin. 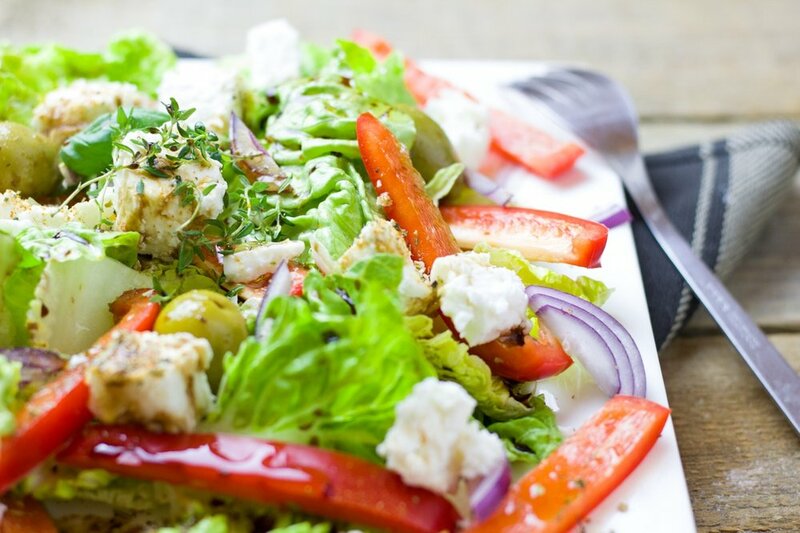 Tomatoes - Incorporate tomatoes into your diet by adding tomatoes to your salad, sandwiches, and wraps. Tomatoes are 95 percent water, and contain vitamin C, which is good for skin health. Watermelon - Watermelon is 92 percent water, and may actually hydrate faster than water. Watermelon contains magnesium, potassium, and sodium, all of which are needed to properly hydrate. Strawberries - Strawberries are 92 percent water. Strawberries are plentiful during summers months, and easy to incorporate into your snacks, and meals. Grapefruit - The grapefruit is 88 percent water. Start off your day right with a grapefruit for breakfast. Grapefruits contain vitamin A and C, potassium and biotin, all of which are good for the skin. Carrots - Snack on carrots in the summer. Carrots are 87 percent water, and loaded with beta carotene, which helps protect the skin. Cantaloupes - Cantaloupe is 90 percent water, and loaded with vitamin A.
Celery - Hydrate with celery. Celery is 96 percent water, and may hydrate you just as fast as drinking water. Zucchini - Cook with zucchini this summer. Zucchini is 95 percent water, and a great source of folate, potassium, and vitamins A and C.
Iceberg Lettuce - Add iceberg lettuce to your meals this summer to stay hydrated. Iceberg lettuce contains 96 percent water, and has vitamin C, potassium, and folate. One of the easiest things to do this summer to help with hydration is to just make a salad. Make a super hydration salad by adding iceberg lettuce, cucumbers, tomatoes, celery, and carrots. Or you can make a nice fruit salad with watermelon, cantaloupe, strawberries, and grapefruit. Most fruits and vegetables have high water content. Whatever your plans are this summer, remember your sunscreen, and don't forget to hydrate. What do you do to stay hydrated? Do you primarily rely on water and sports drinks to provide your hydration needs? Or do you enjoy eating all of the fresh fruits and veggies? Please share! Jul 9 My Top 5 Relationship Deal Breakers...The List We All Need To Have!